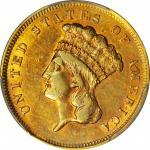 Lot:3045 1846 Liberty Head Half Eagle. Large Date. Shipwreck Effect (A) Unc (NGC). 1846 Liberty Head Half Eagle. Large Date. Shipwreck Effect (A) Unc (NGC).This bright and vivid yellow-gold half eagle displays razor sharp striking detail throughout the design. Wispy hairlines and a curiously glossy texture point to a cleaning for the obverse, although the reverse is more original in appearance and has a touch of frost to the finish. With survivors of this 395,942-piece issue scarce and typically grading VF or EF, this condition rarity Mint State example is sure to appeal to Liberty Head gold collectors. 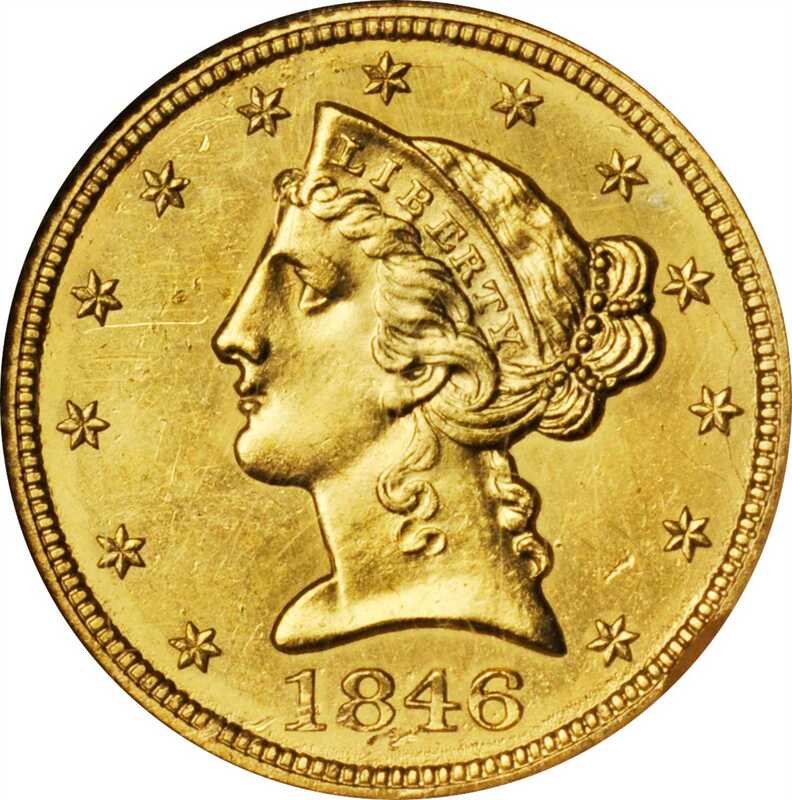 The Large Date is the more available of the two logotypes used to produce the 1846 half eagle. The greatest attraction of this coin is its provenance. Shipwreck coins have become a dynamic specialty in recent years, and the front matter in the emGuide Book of United States Coins /emdevotes a section to them. The 2008 book by Dave Bowers, emThe Treasure Ship S.S. New York, Her Life and Loss, 1837-1846,/em tells the story in fascinating detail. Daves best-selling emTreasures Lost, Treasures Found, /emavailable from your favorite bookseller or on the Internet from Whitman Publishing devotes a chapter to ship.ppFrom the Q. David Bowers Collection. Earlier ex emS.S. New York/em.